More interesting news from Cartoon Brew: Rob Minkoff (The Lion King, Stuart Little, Mr. Peabody & Sherman, etc etc…!) has signed a two picture deal with Le Vision USA, the American wing of China’s Le Vision Pictures. The first is for a live-action comedy called Silkworms (which we know nothing about, so far). The second, of more interest here, is for an animated adaptation of Chinese author Lu Jiamin’s semi-autobiographical novel Wolf Totem. Earlier this year the book was adapted into a Chinese-language live-action film, directed by Jean-Jacques Annaud from France. 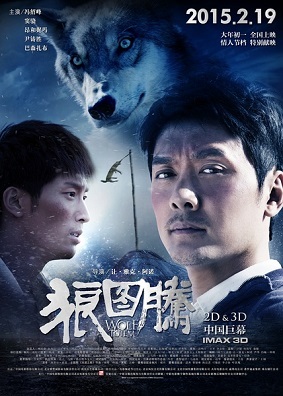 The story tells of “…a Chinese student who is sent to Inner Mongolia to teach shepherds and instead learns about the local wolf population, which is under threat by a government apparatchik”. (Shades of Never Cry Wolf, anyone?) At this point we do not know if Mr. Minkoff will simply be producing the animated version, or if he will direct. Nor have we gotten any word as to a projected release date. Guess we’ll find out!